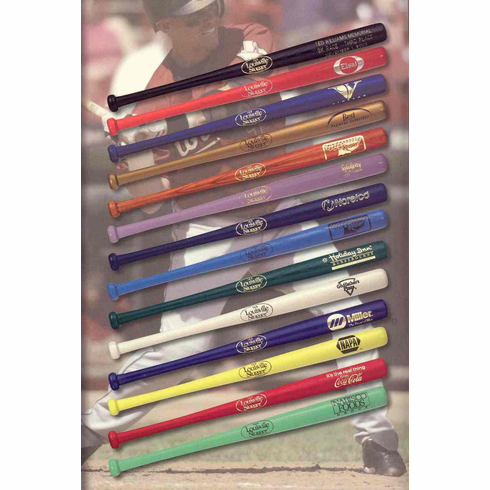 Our promotional 18" miniature Louisville Slugger bats come in various colors and include your one-color logo. Place your order on our website and email logo to mike@everythingbaseballcatalog.com. These are perfect for promo giveaways, baby birth announcements, wedding favors, etc. Choose bat and foil colors from drop down menu above. Gift wrapping not available. These usually ship within 3-4 weeks from the time we get your logo approved.